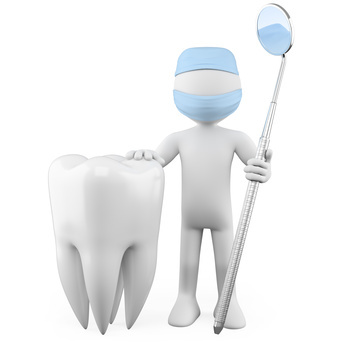 Providing Comprehensive Quality Dental Care for the Last 48 Years. Our experienced, friendly staff makes it easy to be calm and comfortable while improving your smile and confidence! Call today and schedule an appointment. Downriver dentist serving the Lincoln Park, Wyandotte, Brownstown, Taylor, Southgate, Melvindale, Romulus and Allen Park area. Call us to make an appointment. Note: Please do not email to cancel or make appointments. We will make your visit comfortable! We are now using the Schick 33 Digital X-ray System, which is the most advanced digital x-ray system available. This system substantially reduces radiation exposure, provides higher resolution for more accurate x-rays, and makes communication between our dentists and specialists easier. 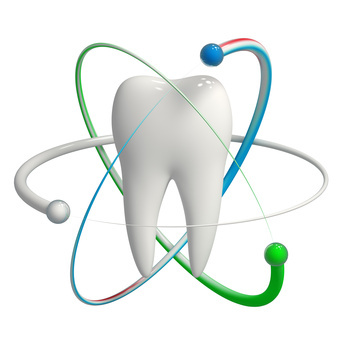 Stop in for your dental exam today and see the latest innovation in digital x-ray technologies. 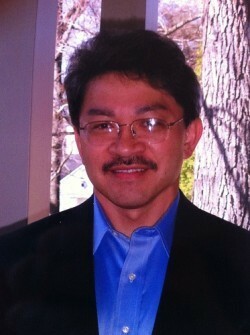 Dr. Armand del Rosario attended the University of Michigan for his undergraduate studies. In 1989, he earned his DDS degree from the University of Michigan Dental School. After graduation, Dr. del Rosario proceeded into private practice while also serving as a dental instructor at the University of Michigan Dental School. He is an active member of the American Dental Association, the Michigan Dental Association, and the Detroit District Dental Society. Dr. del Rosario is well versed in all facets of dentistry including cosmetic and implant dentistry, endodontics, crowns and bridges, and prosthodontics (dentures and partials). Dr. del Rosario and his wife have three children. They enjoy outdoor activities and spending as much time together as they can. The Michigan Dental Association is headquartered in Okemos, Mich. and has more than 6,300 members. These members practice throughout the state and are part of 26 local dental societies. Our members include students at Michigan’s two dental schools, one at the University of Michigan and one at the University of Detroit Mercy. The Michigan Dental Association was founded in 1856 and is the oldest dental society in continuous existence in the country. Members of the MDA are also required to belong to their local dental society and the American Dental Association. These member dentists rely on their professional dental associations for the most up-to-date information on federal and state requirements for such things as infection control techniques, the latest in new techniques, and continuing dental education courses. Also, the ADA is home of the world’s largest dental resource library. Founded in 1859, the American Dental Association is the oldest and largest national dental society in the world. Since then, the ADA has grown to become the leading source of oral health related information for dentists and their patients. Learn more about the ADA’s mission and vision, and our commitment to the public’s oral health, ethics, science and professional advancement and access to care for all Americans. Friendly staff. I’m a bit of baby, but they made me feel at ease. Even when I ask a 1000 questions, they were very understanding. Dr. del was wonderful! I’m a retired dentist and I trust Dr. Del and his staff for all my dental needs. B.J. Shapiro, D.D.S. When I go to Advanced Dental Center I’m happy and when I leave I’m even happier! Extremely pleased with staff and Dr. del! Friendly and efficient. Pleasant visit. Thanks! Dr. del is great! He goes the extra mile in making me feel comfortable. I have been seen by Dr. Bonior and now by Dr. Del. Both of them are wonderful. They both are very kind and very professional. I’m very nervous when I go and both of them really care about how I feel. I admire that in both of them. Carrie is my hygienist and she is great. I know that I don’t go when I’m supposed to, but I will be there soon! Christy is Dr. Del’s assistant and she is wonderful. Always caring and very nice. Everyone else there has always treated me with the utmost respect. If you need a good Dentist….this is the place! Important Privacy & Health Information. Please Review.